Businesses for Sale Melbourne | Aussie Business Sales are the leading ..
Aussie Business Sales are the leading Business Brokers in Melbourne li.. If you are looking for a new opportunity to start running your own business or sell your existing one, you have come to the right place. Aussie Business Sales are the expert small business brokers of Melbourne and Country Victoria, helping people buy and sell businesses in a broad range of industries. Retail shops are a popular investment opportunity for many entrepreneurs looking for a simple option that can return a profit. We know the industry well and make life easier for both buyers and sellers by taking on the tedious tasks when buying or selling a business with clear communication at all times. 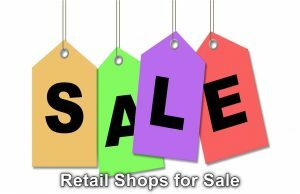 If you are looking to buy or want to list your Retail Shop for Sale in Melbourne or Country Victoria please don’t hesitate to get in touch with our friendly team to discuss your situation and schedule a free consultation. Reach us on mobile: 0418 515 434 or email: ian@aussiebusinesssales.com or send us a message through our enquiry form to receive a prompt reply. No Fees or Commission charged if your business is not sold by Aussie Business Sales. Real, honest and straightforward advice and assistance when buying or selling a business. Call us on 0418 515 434. Aussie Business Sales is a Licensed Real Estate Agency and member of the Australian Institute of Business Brokers that specialises in sales for small-to-medium sized businesses throughout Victoria. Based in the Melbourne CBD, Aussie Business Sales is headed by Ian Clapham, who brings over 40 years of business ownership and experience. Clapham now drives Aussie Business Sales with his dedication to the industry and passion that has helped grant businesses across the state genuine success. Learn more. Copyright © 2008-2019 Aussie Business Sales. All rights reserved. Leading Melbourne Broker for Small Business. Established 2008.